In 2015, quite a few tracks upon which I had been running slowly began to converge. While my destination remains unclear, my direction has become much more so. Rapidly disappearing is my desire to keep apace with the restaurant industry, as I watch food media disintegrating into a pile of clickbait and shallow memes, the overwhelming weight of which makes it almost pointless to dig out the few, worthy nuggets therein. And social media has so sucked the “cult” out of “culture” that so much of what I loved about dining and restaurants has become repugnant to me, having devolved into a great, churning mass of groupies circling the few, the glorious who have managed to charm their way into the eye of the storm, and who relish their haloed seat amidst the calm. While I’ve always moved at my own pace here, in the past year, I’ve untethered myself even more, enjoying a greater range of motion to explore, and to invest my time and attention where I think it matters most. In my voracious search for pleasure in eating over the past dozen years, I strove to be as thorough as I could, given my time and means. For many obvious reasons, I was able to cast a much wider and more finely knit net here in my own country than abroad. So exhaustive, in fact, has my tour of America been that, in the last couple of years, I’ve become sated here at home, having just about eaten everywhere I really want to eat in the U.S. And so, God willing, I have, fortunately, had the opportunity of turning my attention afar. But none of what I do – my travels, my photography, this blog – has been for the pursuit of gustatory pleasure alone, although that is certainly the primary motivation. I do love to eat, and it is unthinkable, sometimes, the things I have done for food. There are many other pleasures and purposes I seek in life. There are the pleasures that I derive from adventure, and learning – about food, yes, but also about culture, history, and art, and especially where they intersect each other. And even more important to me is the soul-satisfying prospect of finding others with whom I can share all of these things. To these ends, I have been blessedly fulfilled, especially so in 2015, a year in which I was able to focus more on the wider, richer universe to which life has given me access. In my preceding post about my favorite desserts of 2015, I acknowledged and applauded an overall rise in the level of quality coming out of pastry kitchens. Here, I expand that to apply to cooking in general, which has improved vastly in restaurants over the past decade, accelerated by the cross-pollination of information made possible by the internet and an increasingly mobile pool of talent. In terms of ingredient quality and presentation, the wide gulf that used to separate casual and formal dining, amateur and professional cooks, and neighborhood and destination restaurants has been narrowed considerably, making now a better time to be cooking and eating out than ever before. While my year-end lists of favorite dishes and desserts allow me to piece together a shiny mosaic with the brightest bits from my year in eating, this – my annual list of favorite restaurant meals – allows me to render, more thoughtfully and meaningfully, the values and perspective that I bring to the table as a diner. It’s a chance for me to celebrate chefs and restaurants for reasons beyond the technicalities of their craft alone. As I surveyed the meals that I had in 2015, this became very apparent to me. But be not misled. Technique, ingredient quality, and consistency still comprise the foundation upon which good cooking is built. And you should (always) assume that they are an essential part of every meal that appears on my year-end list of favorites. What I am saying, however, is that, beyond those essentials – all of which are attainable given enough dedication and resources – there are the intangible, unquantifiable, and admittedly subjective qualities of creativity, inspiration, aspiration, and sincerity, the latter of which is perhaps becoming the most important ingredient on the dinner table for me. These are the big-picture things that separate the gathering crowd on that wide, high plain, to which I referred earlier, from the few peaks that reach up and beyond in the distance. These are the things I value most. These are the things for which I search. And these are the things that, having found them, I celebrate here. After reviewing the hundreds of meals I had in 2015, five stood noticeably apart and higher than the rest. 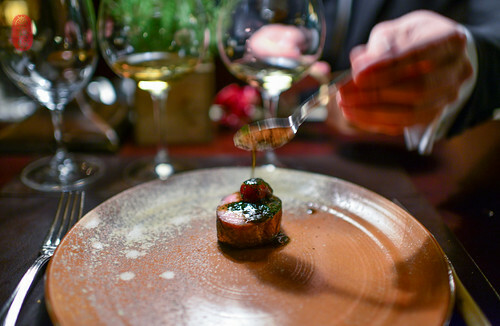 So, this year, in keeping with my commitment of only telling you about the very best, I depart from my tradition of listing 10 meals in favor of a shorter list of those that truly distinguished themselves: five chefs at five restaurants who cooked five incredible meals. But before I proceed further, I need to unhook myself from a potential snag. If I am to evaluate the sincerity of others, then it’s only fair that you evaluate mine. And in order for you to do so, I need to disclose a few things. I have become good friends with three of the chefs listed below. And I have a professional, working relationship with two of them. Furthermore, although I paid for meals at four of these restaurants in 2015, I also did not pay for quite a few of them – those meals were either gifted to me, or assumed as a part of the cost of our professional relationship. These things matter. Because, regardless of how impartial I can claim to be, they have given me a level and frequency of access to a realm that is beyond the reach of many, if not most. And their potential influence cannot be disregarded. So it’s only fair that you know about them. If you ask any of the three chefs named below with whom I am friends, and the many who are ancillary to our friendship, I think they would testify that our friendship grew out of my admiration for their talent, their work, and their ethos – the reasons why I celebrate them in this annual, year-end post. That is to say, I became friends with them because I admired their work (and, of course, our friendship progressed because we share common ground, and, perhaps more significantly, because they value my honesty, especially when critical), and not the other way around (that is, that I admire their work because we were first friends). I would apply the same logic to the two professional relationships herein. I will also add that, I have far more friends and professional contacts in the industry about whom I don’t write. Conversely, if I find their work worthy of attention, I eagerly write about those with whom I have no relationship at all; that would include two of the chefs named below. The friendships and professional liaisons that I do have, along with the free meals that I receive, present expected complications and conflicts for anyone who, like me, chooses to straddle the blurry bordered life of mixing the personal and the professional. Some might charge me as irresponsible, if not, at the very least, foolish for trying to keep one foot on each side of the divide. But, given the alternative of not writing, not sharing, and not recording, I happily assume risk and responsibility. Since I am a fierce capitalist, I will always encourage you to vote with your readership. If you deem me suspect, turn me off. But that’s not going to stop me from doing what I love doing here. All of that having finally been said, let me now turn to telling you about the best meals I had in 2015. In 2015, I had more than one meal at each of the five restaurants listed below. For two of them, I had little choice (not that I minded), as I spent the night at each and therefore had both dinner and breakfast there. And lest you dismiss breakfast as an afterthought, it is the breakfast, not dinner, at one these restaurants that earned its place here among my best meals. For the other three restaurants, I returned multiple times, sometimes as an accessory to professional work, but mostly by choice. And this is significant because, while these restaurants were given more opportunities than most to impress, the fact that I returned – and, in a few cases, returned often – should tell you that they did impress, and repeatedly so. In fact, even though I can name the specific meal that earned each of these five restaurants a place on this year’s list, most of the meals I had at these restaurants would have bested all others. And since, together, they numbered more than ten, it was an important factor in my decision to collapse them together into a shorter, more focused list this year. Also, so razor thin were the margins, and so vastly different yet equally compelling were all of the meals I had at these restaurants, that I have also dispensed with the tiresome task of ranking them. So, instead of just enumerating specific meals that impressed me in 2015, this post recognizes the chefs and restaurants that did so most consistently. You’ll find them below, listed alphabetically by the restaurant’s name. Clicking on the names of the restaurants listed below will take you to an album of photos from that meal. What could be that good? 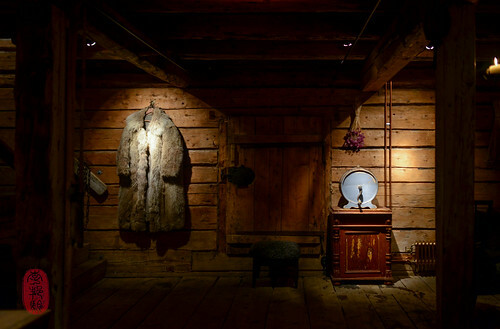 I explored this question concerning destination dining – and specifically about Fäviken Magasinet, a restaurant located in the great northern expanse of Sweden – in this earlier blog post. While I concluded, more or less, that the sum of any trip is greater than its parts, that shouldn’t take away from the fact that my dinner at Magnus Nilsson’s restaurant was, undoubtedly, the highlight of my detour to Järpen last January, and, as it turns out, one of the very best meals I had in 2015 (the breakfast wasn’t bad either). Nilsson’s cooking showcased the high quality of his products, and in tempering flavor and finding balance, he avoided many of the faults I have found with Scandinavian cooking. His commitment to his craft and cause are clear (and if you can’t experience it for yourself, they are eloquently explained in the Fäviken Cookbook). I spent more than twice as long traveling to and from Fäviken as I actually spent at Fäviken. And I was not disappointed. I’ll be honest: I sort of dragged my feet to Michel Bras. Like many chefs, it had been Colby and Megan Garrelts’s lifelong goal to make the pilgrimage to Laguiole, to the restaurant that inspired their generation of cooks. So, on a trip to France in October with these two longtime friends, I agreed to go, more out of camaraderie than curiosity. 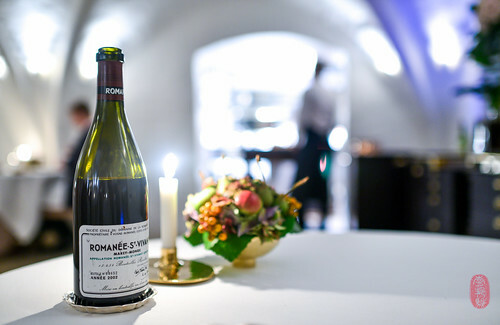 I don’t think any of us expected to find Michel Bras in the kitchen (and we didn’t) – especially now that he has handed the reins over to his son Sébastien Bras – or for the restaurant to be the same as it was when he was in the kitchen. But I don’t think any of us were prepared for how magical a trip to this iconic restaurant would be either. But laying aside the magnificent drive down from Paris, the breathtaking setting of the restaurant on its perch overlooking the Laguiole countryside, and the first snowfall of the season as we woke up the next morning, the food here was pretty great. While dinner was certainly memorable – especially for the table-side aligot service, which had our captain stretching velvety ribbons of whipped potatoes high in the air – it was the breakfast here that I will never forget. At the center of a Magritte-inspired field of blue sky powdered with puffy clouds anchored a basket of flakey viennoiserie, buttery pastries, and beautifully baked breads. As servers arrived in quick succession, they set into orbit a galaxy of jams and butter, yogurt, juices, coffee, tea, and rice pudding, all of which circled our table as each of us tried a little bit of everything. There were delicate, eggy crêpes speckled with fines herbes. And in one corner of the room was a tidy gueridon of charcuterie and cheeses, to which we were encouraged. 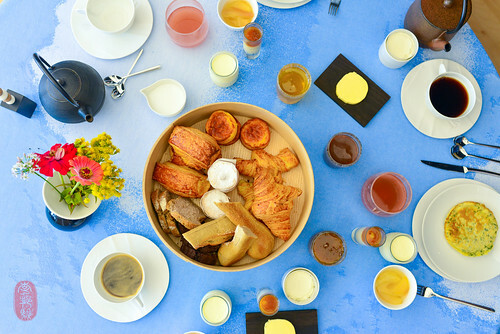 If you have the opportunity to visit Michel Bras, you must stay for breakfast. I had about a half-dozen dinners at Saison in 2015. And although any of them would rank among the best meals of the year, not all of them were as flawless or as exciting as my last one there in early December. In fact, it was because my penultimate meal there was below par that I was driven to return one last time. I’m glad I did, because at this last meal, chef Joshua Skenes rebounded with what was surely the most impressive dinner I had at this restaurant last year. Everything, from the bowl of radishes with funky, cultured butter, served towards the beginning of the meal (my favorite dish of 2015), to that refreshing milk ice cream with smoked caramel at the end (my favorite dessert of 2015) was perfect. Even the meaty fist of beet, which had been slightly dehydrated above the hearth, concentrating its flavor and tenderizing its texture – a dish that I have had countless times before – was better than ever. What I have always loved about Skenes’s cooking is that he puts flavor first, and works his way backwards in order to find it. Quality at Saison is not a matter of if, but how. And Skense’s ability to deliver it consistently has landed his restaurant Saison on my list of favorite meals for the fifth year in a row. I’ve had many, very good meals at The Restaurant at Meadowood (in fact, I’ve had nearly 50 of them). But none of them moved with the weight and confidence of the dinner I had there at the beginning of December of 2015. It was the night before the Twelve Days of Christmas and Christopher Kostow and his team kept me spellbound for three hours with a thrilling menu that was more refined and thoughtful than any I’ve had there before. From top to bottom, the courses were flawless, many of which I recognized as the culmination of ideas and dishes I had seen before, those primitive prototypes now fully realized, complete. And together, they left an indelible mark on the evolutionary timeline of Christopher Kostow’s ambition, and his new Napa cuisine. For eight years now, I have kept an ongoing wish list of restaurants I’d like to visit, and places to which I’d like to travel (mostly for food). What has sort of become a “solera system” of distilling the overwhelming stream of new and existing restaurants in the world, this bucket list has served as a funnel for me, helping me focus my wishes and wants. After a 28-year absence, I finally returned to Taiwan in 2015. I’d like my next destination in Asia to be in the Southeastern countries: Cambodia, Malaysia, Vietnam, Singapore. Lamentably, Australia remains my last continent (other than Antarctica). But the good news is that I just booked my tickets for a two-week trip, split between Sydney and Melbourne. So, my Aussie readers: suggestions and recommendations for real this time. Please, and thank you. I’ve heard great things about Clown Bar in Paris. Outside the city in France, I will mention again Sa.Qua.Na in Honfleur, and Alexandre Couillon’s La Marine in Noirmoutier. I combed through Copenhagen quite thoroughly in 2015. But outside the city, I’d like to get to Paul Cunningham’s hamlet inn Henne Kirkeby Kro on the western coast of Denmark’s mainland. In neighboring Sweden, I bring forward Matthias Dahlgren and add Speceriet (both in Stockholm), and Daniel Berlin, located near Malmö. A recent trip to London (January of 2016) reminded me how much I love it there, and how many places I still have yet to visit. Poor planning made me miss an opportunity to dine at James Knappett’s Kitchen Table. So that remains on my list. 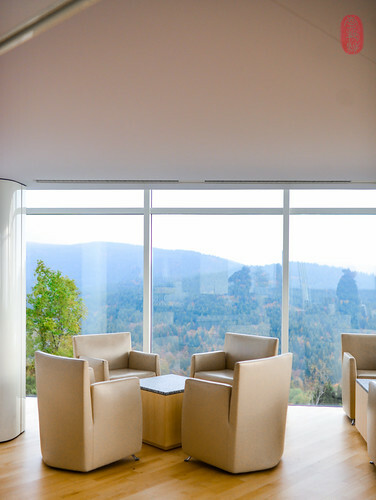 To the south, in Spain, Azurmendi and Disfrutar. I’ve had a surprising number of friends posting from all over Italy recently, and I feel that a more in-depth eating trip in that country is warranted. In South America, I bring forward Peru, Colombia, and Brazil. There’s so much to see and eat on that continent. I’ve now been to 49 of the 50 U.S. states. But there remain vast stretches of uneaten territory across my country’s map. 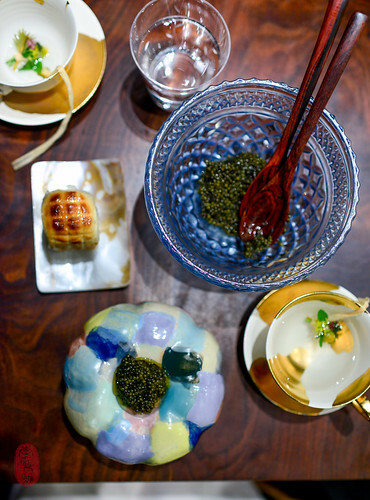 In the South, I have yet to visit Justin Yu’s oxheart in Houston, Donald Link’s Pêche Seafood Grill in New Orleans, and Justin Devillier’s La Petite Grocery, also in New Orleans. After a patchy four-year absence, John and Karen Shields seem palpably close to returning to the restaurant world. It’s called Smyth, and it will be in Chicago. And I will definitely be there. In New York, I’d like to get to Semilla, Wildair, and I’m awfully curious what Ronny Emborg is up to at atera. Reports from that jewel box in TriBeCa are surprisingly rare and few. San Francisco has seen quite a few openings in the past two years that have caught my attention. Among them, Californios and Al’s Place top my list. I finally made it to Portland, Maine in 2015. But Portland, Oregon remains a glaring hole on my travelogue – I was last there in 1999, long before the relatively recent restaurant boom there. It’s also been more than a decade since I was last in Hawaii. And Chris Kajioka (formerly of Vintage Cave in Honolulu, and the opening team of Mourad in San Francisco) has moved back to his home state to open Senia (in the spring of 2016, I hear). If I can manage a trans-Pacific stop, I will. Here at home in the Midwest, I’m in deficit. Most urgently, I need to get to The Bachelor Farmer and piccolo, both in Minneapolis. And, of course, I’m always circling back to restaurants I’ve visited before. In the United States, I would love to return to Lachlan MacKinnon-Patterson’s Frasca Food + Wine in Boulder (my last and only meal there was in December of 2008). 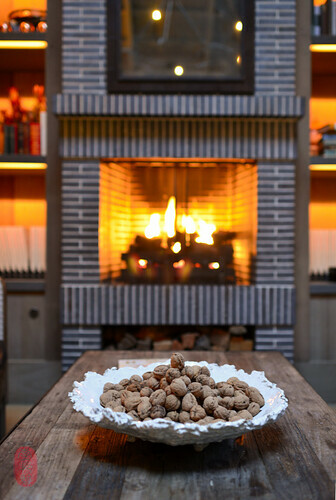 Scott Anderson has reopened elements in Princeton, New Jersey and David Kinch and reopened Manresa in Los Gatos, California. I’d like to revisit both. 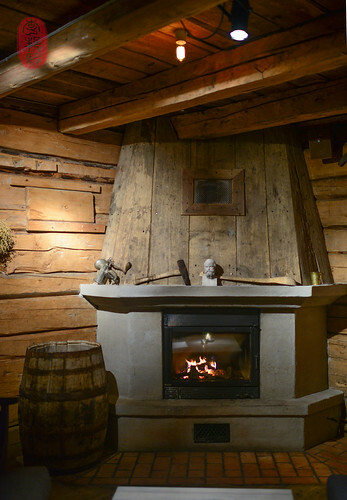 Abroad, I’d most like to revisit Asador Extebarri in Axpe in the Basque mountains; Studio in Copenhagen; and The Sportsman in Seasalter on the coast of Kent. And, what day goes by that I don’t long for the balmy breeze of the Côte d’Azur while dining at Louis XV on that marble terrace at the Hôtel de Paris in Monte-Carlo? As you might have noticed, this annual post has always focused on meals that I had in restaurants (hence its title). But, truth be told, many of the most memorable meals I have every year are elsewhere – sometimes because of company, or the setting, but often because of the food too. This was especially true of 2015. On my five trips to Norway for the Friends of Lysverket series, Christopher Haatuft and his cooks always prepared a packed lunch for our day tour, which usually took us to some breathtakingly beautiful and remote location. Easily portable, and always cold, these meals were not glamorous but for the settings in which they were dropped. Maybe it was the chill that made me particularly hungry that day, or maybe it was the familiar taste of home that I loved so much, but I’ll never forget inhaling a meatball sandwich on the deck of a seventy-foot sailboat, with the tilted Northern sun doing its best to soften the bite of the brisk, North Sea gale, as we parted the waters toward the island home of Ole Bull. That was a great meal. I also had a number of unforgettable meals with my friend Mark Lundgaard Nielsen, chef of Kong Hans Kælder. 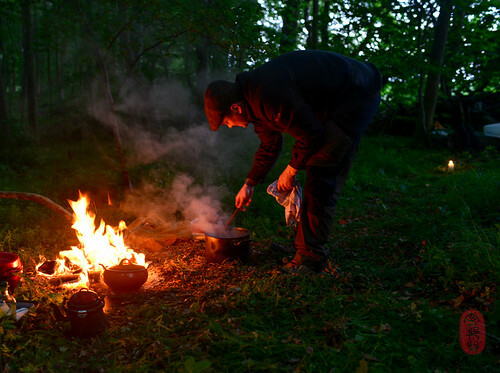 On a hunting trip on the Danish island of Fyn (that’s “fyoon“) in June, he staged a magical five-course dinner for us at our campsite in the woods, replete with Zalto stemware and venison tartare, fresh from a roebuck that he shot and dressed just minutes before. In August, he and his sous chef Andreas Bagh came to visit me in America, and after a long day of driving us up the California coast, I soaked in the afternoon sun on Dillon Beach while the two of them shucked dozens of oysters that we had bought down the road in Tomales Bay and prepared a spread of cheeses, fresh figs, charcuterie, and avocados that we had gathered from at the farmers market at the Ferry Terminal in San Francisco. A month later, in September, I was back on the island of Fyn with Lundgaard Nielsen for a fowl hunt at his friends’ hunting lodge, after which he cooked us a dinner of quail with lingonberry, a gratin of potatoes, and roasted onions. The next night, we drove over to the mainland peninsula of Jutland, where his parents welcomed us to their home with a traditional Danish, Christmastime feast, which included flæskesteg – a beautifully roasted log of pork laminated with a thick layer of crispy crackling – and big bowl of risalamande – a rice pudding with almonds and cherries that was among my favorite desserts from 2015. He’s done it before, and he did it again in 2015: Justin Cogley, chef of Aubergine at the l’Auberge Carmel, kicked off his third annual Rediscovering Coastal Cuisine event with an intimate dinner on Carmel Beach for the guest chefs (and me). 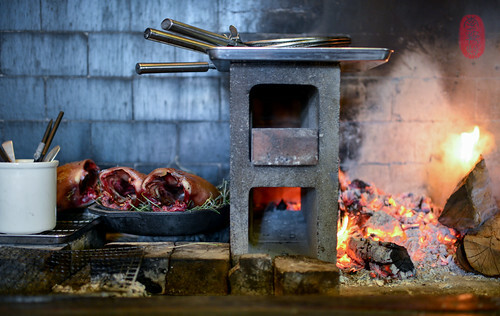 Trenching out a table, complete with a wrap-around banquette – all of which was formed out of sand – Cogley and his sous chef Devin Rose set up a campfire and unpacked a seaside picnic dinner of suckling pig with cornbread, coleslaw, and cheddar rolls. That was a pretty great way to have dinner. And I can’t leave 2015 behind without mentioning a dinner that my friends Alex and Stephanie Pitts cooked for me at their home in Berkeley, California, along with Geoff Davis and Marty Winters. 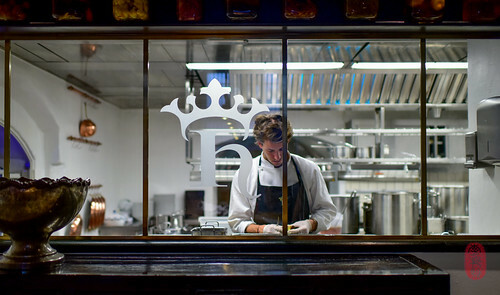 Pitts and Winters, who, together with Davis, had been cooks under Douglas Keane at Cyrus in Healdsburg, had both left the kitchen for the wine industry. 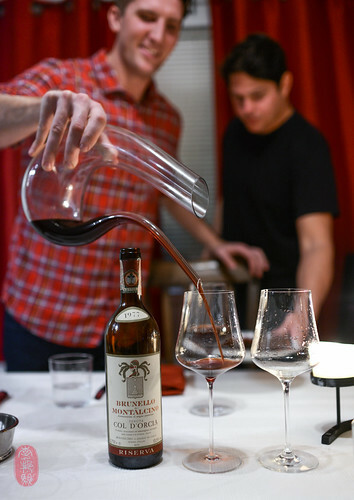 Currently, Pitts is the assistant winemaker at Scholium Project and Winters is a sommelier at the Restaurant at Meadowood. To celebrate the launch of their own wine label Maître de Chai (for which I have photographed), they hosted this small dinner, to which I was lucky to be invited. Alex made agnolotti over which he shaved a white truffle that he had just brought back from Italy (one of the best dishes I had in 2015). Geoff, who is now chef at James Syhabout’s The Dock in Oakland, baked crab soufflés, golden and wonderful (they really were). And, if it were not for Stephanie’s key lime pie, I might not have even agreed to go to this dinner at all (truth: when Marty texted me what they were making for dinner, I scrolled over the agnolotti and soufflé ambivalently, and landed on the key lime pie with resolve). It lived up to all of my expectations. * I know that most people do not eat in restaurants enough to arrive at this level of scrutiny. As I wrote in my last, year-end restaurant post: “… I want to take a moment to acknowledge my unique position in the dining community. Lest you think that my sense of reality beyond the starched linens of the world’s top tables is distorted, I am well-aware that the vast majority of diners – even the most well-traveled ones – do not eat like I do. Even those who have the wherewithal to travel and eat with as much breadth may not desire it. And even if they do, they may not enjoy the level of access to chefs and restaurants with which I have been privileged.” On the other hand, I can only imagine that a limited ability to eat out – especially at the high end – only intensifies the fear of disappointment. 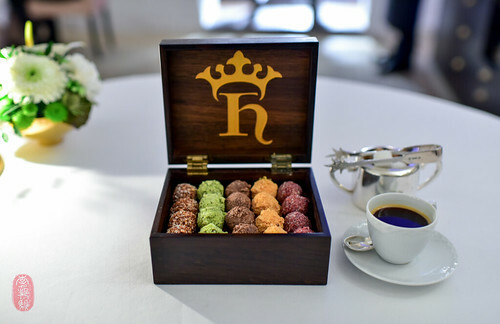 Photos: The crowned “H” for Hans in the kitchen window at Kong Hans Kælder in Copenhagen, Denmark; walnuts by the fireplace in the rotunda of The Restaurant at Meadowood in St. Helena, California; the lounge at Michel Bras looking out over the rolling hills of Laguiole, France; a bottle of fine wine on my table at Kong Hans Kælder in Copenhagen, Denmark; the fireplace in the living room at Fäviken Magasinet in Järpen, Sweden; ducks in the hearth at Saison in San Francisco, California; chef Magnus Nilsson’s great fur coat at Fäviken Magasinet; a box of truffles at Kong Hans Kælder; breakfast on a field of Magritte at Michel Bras; caviar with toasted Parker House rolls at Saison; pork collar with cherries and fennel at The Restaurant at Meadowood; Mark Lundgaard Nielsen making dinner over the campfire in Søbo, Denmark; Marty Winters pouring wine, while Alex Pitts sets the table in Berkeley, California. ~ by ulterior epicure on February 9, 2016. Very interesting read! Thank you for the many inspirations. Love your post. Must admit that I am a little jealous. You have visited and eaten such wonderful food and places! Thanks for the inspiration. A fantastic piece full of inspirations , it’s the recalling of the meals makes it so rich to read. Can you help with direction to like minded Italian writing ?